Everybody has heard about Breakfast at Tiffany’s. It’s an all time classic. Some have seen the movie, some have read the book but there are a lot of people who don’t know anything about this lovely story. This article is meant for them. Let’s start off with the most iconic thing which both the movie and the book have in common: the title. People who don’t know anything about the story, except for its name, are often under the impression that “Tiffany” is one of the characters but that is not the case at all. 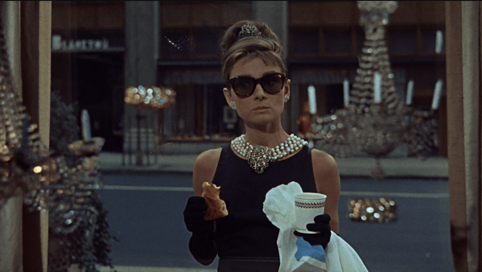 The main character, Holly Golightly, sees the jewellery store “Tiffany & Co.” as a haven, where nothing bad can happen to her, so she likes spending time there. That is where the title “Breakfast at Tiffany’s” actually comes from. 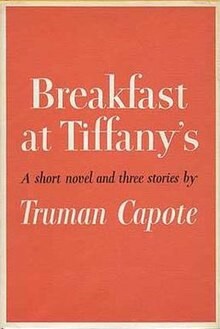 Truman Capote published the novel in 1958. It follows a young writer who moves into a New York City apartment building and meets his rather fascinating neighbour: Holly Golightly. She is a young girl who earns money by offering her companionship to wealthy men. She also gets paid by Sally Tomato’s lawyer to visit his client weekly in prison and give him the “weather report”. Holly and the narrator start spending time together and the fall in love. But Holly gets in trouble because of her weekly visits in prison. Shortly after that, she leaves the country, leaving New York and everything that happened there behind. 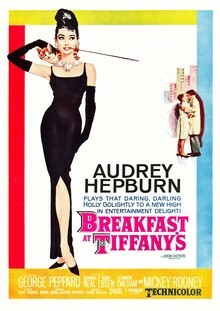 The movie “Breakfast at Tiffany’s” written by George Axelrod and directed by Blake Edwards came out in 1961. Starring Audrey Hepburn and George Peppard as the main characters, the movie was bound to be successful. And so it was. It soon became Hepburn’s most memorable role and one of the most beloved Hollywood films. One of the biggest differences between the book and the movie is the ending: while in the movie Holly and the writer end up together, the book ends on a sadder note: the writer never sees her again. I am not sure why Capote made this choice but it was kind of disappointing to read the book after watching the movie first because the kiss scene at the end of the movie was one of the best parts, not to mention one of the most iconic ones, as it even appears on the movie poster. I guess people want movies to have a happy ending in order to carry on with their lives and be able to hope for the best after watching them. In the end, I find that each of us has to decide for themselves what they like best: the movie or the book, as they both are extraordinary creations. Fun fact: Did you know that there’s also a song called “Breakfast at Tiffany’s”? It was recorded by the band Deep Blue Something and released in 1993.